Alternative Armies: Campfire and Dwarf Half Price until Xmas Eve! Campfire and Dwarf Half Price until Xmas Eve! Our current stock of Campfires! Until the twenty fourth of December 2014 Alternative Armies has a set of special offers on our website and among these are two excellent half price or 50% off codes that will appeal to a lot of wargamers. If you play any fantasy 25mm or 28mm scale system you will be glad of a heat amid this winter chill with our white metal roaring camp fire. A one piece miniature with the lick of flames atop piled wood. 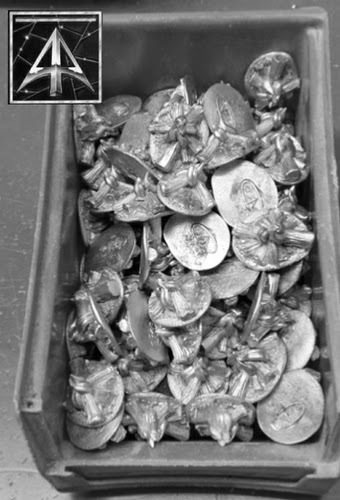 Great for scenics or for diorama or even the bases of larger creatures plus of course dungeon quest too. Code 54502G is just 1.00GBP! Heinz DerMead and his Ale! 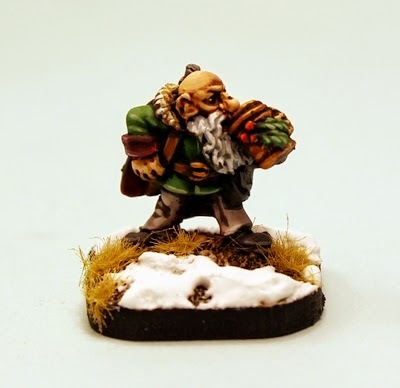 Our brand new festive themed Dwarf is also half price during this offer period. A master brewer betrayed by his own people Heinz Dermead is a lovely miniature that suits a lot of 25mm or 28mm wargame systems. A character fit to lead or accompany your Dwarves into battle. Code 52014 is just 1.00GBP. Go HERE for these and the rest of the offers. Dwarves of the Von Rotte Legion for 2015!